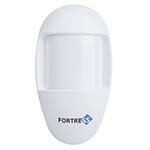 The Fortress Vibration Sensor is designed to trigger the alarm if somebody attempts to force entry through a door, window, or other possible entry locations. As soon as a vibration from an attempted forced entry is detected, the sensor is triggered and sounds the alarm. 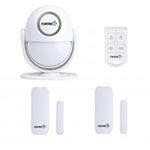 Detect and deter intruders before they can enter your residence! Want it Tuesday Apr. 23? Order Today and choose '1-2 Day Rush' shipping at checkout. 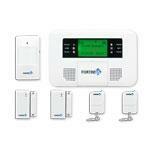 Purchase this accessory at the same time as an alarm package and we will program everything for you! How sensitive is the vibration sensor? I already own a S02-B system, and I am thinking about adding these for a sliding glass door. Hello, The Vibration sensor is pretty sensitive but the glass break sensor is more sensitive. The sensitivity on the glass break sensor can be adjusted while the vibration sensor cannot. Thank you, Cecilia. Hi Manohar, Thanks for your inquiry. In order to pair the vibration sensor to the external siren you will need to use a main panel as an intermediary. Both devices will pair the to the main panel and as the vibration sensor triggers the panel, the panel will send a signal to activate the external siren. 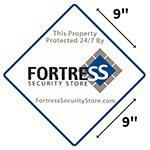 We have several options of main panels to choose from that can be found here: https://www.fortresssecuritystore.com/build-a-system.html/ I hope this helps and please let us know if you have any further questions, thanks! Is there any way to adjust sensitivity on this sensor? Hi Danny, Unfortunately there is no way to adjust sensitivity to the vibration sensor, however you can adjust the sensitivity on the Glass Break sensor. The Glass Break sensor is a combination of vibration sensor and sound sensor so it makes a great alternative to the vibration sensor. Please let us know if you have any other questions, thanks!